Sponsored by the U.S. Embassy and the Good Will Foundation of Lithuania, this concert tour of major cities in Lithuania was comprised of recitals, performances as soloist with orchestra, masterclasses, and intercultural events. The tour culminated in the world-premiere of Lithuanian composer Giedrius Kuprevicius’s work, “The Star of David,” written to commemorate the the 75th anniversary of the liquidation of the Vilnius Ghetto (September 23). The performance was internationally-televised and attended by political and religious leaders from Lithuania and Israel. World-premiere of the Kessel Suite, a piano trio by composer Elizabeth Borowsky, commissioned by Gail Robinson for performance at the Sounds in the Sanctuary concert series in Bethlehem, New Hampshire. This programmatic work depicts the life of Martin Kessel, from his childhood growing up in South Africa, to his early adulthood in Israel, and immigration to the United States. Nota Bene: After the premiere, this trio was performed on the Lithuania concert tour (September 2018). Series of performances with Dr. Robert McMahan (accordion) and Prof. Cecylia Barczyk (cello) at the American Accordionists Association annual festival in Princeton, New Jersey (July 14, 2017), the Dr. William Schimmel 23rd Annual Masterclass and Concert Series at the Tenri Cultural Institute (July 28, 2017), and The College of New Jersey (February 3, 2018). World-premiere of Romp 5, by Dr. Robert McMahon, at the 2018 American Accordionists Association annual festival in Alexandria, Virginia. For the fifth consecutive year, Dr. Borowsky participated in the Violin Society of America Oberlin Acoustics Workshop as an Artist in Residence. He performed in two recitals and took part in the acoustic projects, working with makers including Joseph Curtin and Sam Zygmuntowicz, among others. Susquehanna Symphony Orchestra. This 38-minute, semi-programmatic work depicts the life of King Josiah of Judah. Scored for full orchestra with a particularly prominent percussion section, the premiere performance received a standing ovation. Performances in Baltimore, Maryland and Asheville, North Carolina with Dr. Daniel Weiser (piano) and Frances Grace Borowsky (cello). 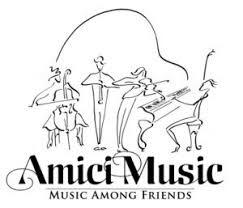 Programs included "Folk Spirit" (works by Astor Piazzolla, Anton Dvorak, and Paul Schoenfeld), "Three to Tango" (works by Astor Piazzolla, Carlos Gardel, Paul Schoenfeld, and Isaac Albeniz), and "Latin Lilt" (works by Latin-American composers including Leo Brouwer, Jose White Lafitte, Astor Piazzolla, and Alberto Ginastera). Recitals (solo and ensemble works) at Dickinson College (Carlisle, Pennsylvania), the German Society of Pennsylvania (Philadelphia, Pennsylvania), and Dartmouth College (Hanover, New Hampshire) presenting works for solo violin, violin and piano, and piano trio. Concert tour with cellist Cecylia Barczyk. Performances at Mdina (Malta), Valletta (Malta), Limburg an der Lahn (Germany), Moers (Germany), Schleiden (Germany), and Reykjavik (Iceland). Masterclass at the Iceland Academy of the Arts (see teaching page for videos). Dr. Borowsky is on the faculty of the Intermuse International Music Institute and Festival USA, teaching violin, coaching chamber music, and presenting workshops on effective practicing and instrument care/maintenance.